Let’s face it, museums don’t market themselves as the most exciting places. For most kids, going to the museum is something they are forced to do for class trips throughout high school, but then they grow up and forget they ever existed. But museums are an incredibly important part of society. Museums can house everything from history to art, and even science. For years, museums have been trying to re-brand, and by the looks of it, they may be on to something. Instead of spending a ton of money on marketing, just let some people in to caption your art on Snapchat or take photos with the sculptures. Thanks to these people, museums might actually be cool again. I’m impressed these five even found their way into a museum, but I’m thankful for it. They were probably stuck on a high school trip and bored out of their minds. 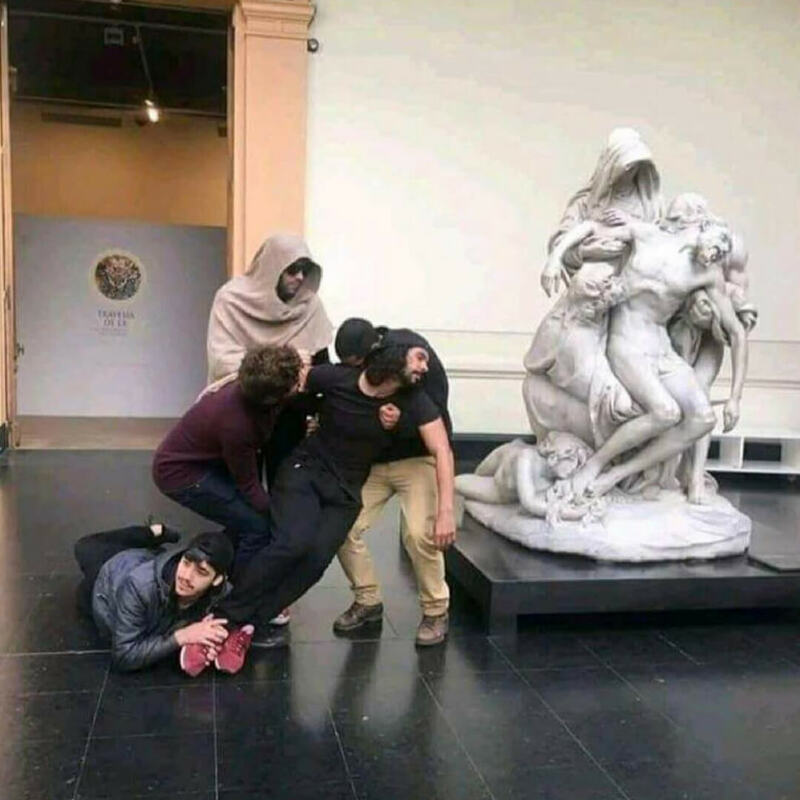 One genius realized they could pass the time way faster if they recreate statues with an incredible attention to detail. To The Museum That Hides Cheeseburgers Everywhere: Why? 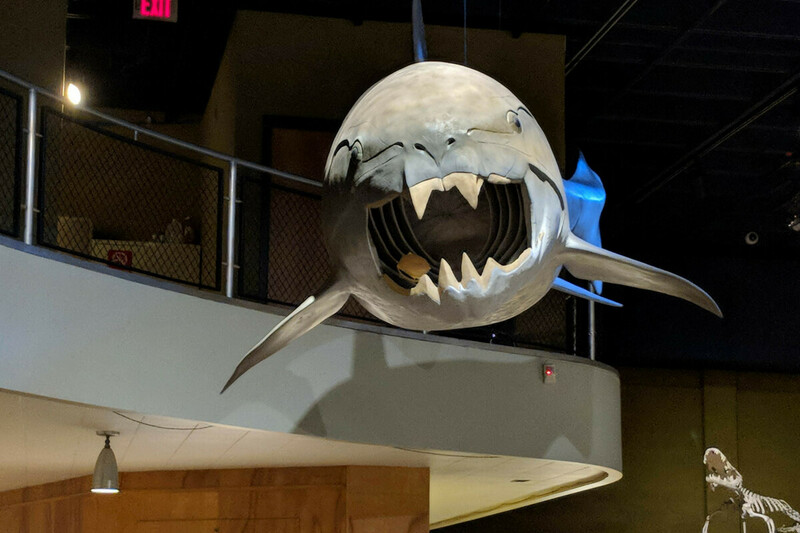 The Natural History Museum in Cleveland has fun with their exhibits and guests by hiding cheeseburgers around the museum, and my only question is: why? It’s a fun way to get people looking around and involved in your exhibits, but are these real cheeseburgers? Because if they are then the entire museum probably smells like McDonald’s grease. I always assumed that pets weren’t allowed in museums, but this guy is proving me wrong. 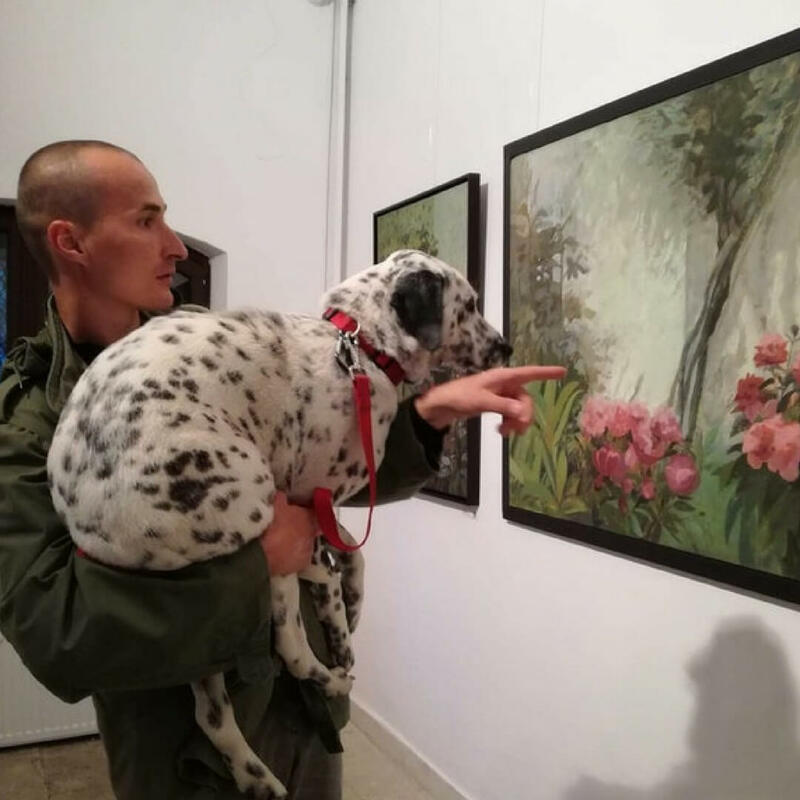 Not only did he bring his doggo into an art museum with him, but he’s lifting them up so they can fully appreciate every painting. 10/10 good owner, 12/10 better doggo. 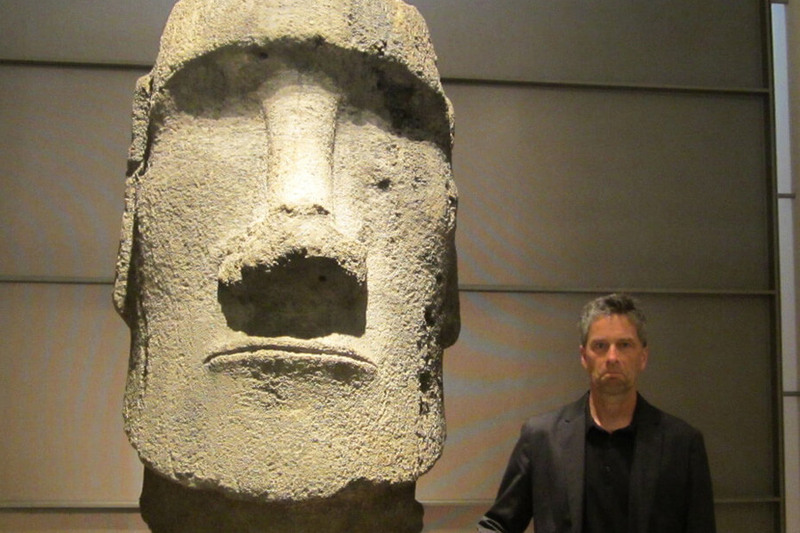 Continue reading to see exactly why you should never bring your parents with you to a museum. Not all art recreations work as well as the five guys perfectly redoing that statue. Some of them are a little harder to do when they involve you turning upside down and switching out one of your arms for an extra leg. This poor girl wasn’t set up for success, but she made an attempt, and you have to respect that. 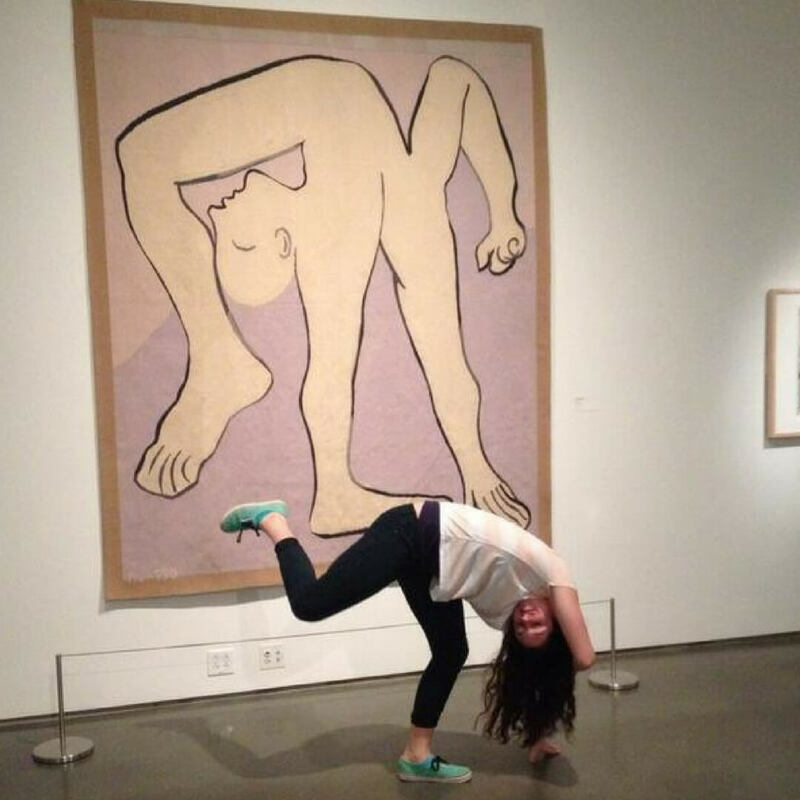 A couple of teenagers went to an art exhibit and realized, being an artist is kind of easy. All you have to do is find a blank white wall and put an everyday item up against it, and voilà! They put their glasses down, and people began to huddle around them and take pictures. We’re not sure what the deeper reason is here, but I’m sure it has something to do with society’s values. Dads aren’t restricted to their dad jokes just at home. Take them anywhere, and they’ll manage to find a way to embarrass you while simultaneously cracking themselves up. 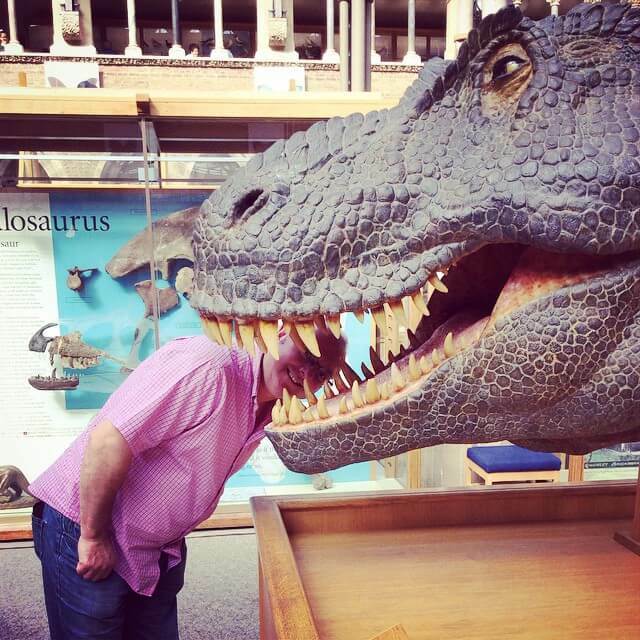 Exhibit A (get it, exhibit) is this dad sticking his head through razor-sharp T-rex teeth for a photo. The museum employee coming up really mailed it in, and you have to respect them for it. Is there any ballad in the history of Disney ballads as powerful as “Reflection” in Mulan? The song talks about Mulan’s personal struggle with family tradition and her finding her place in the world. It never fails to be a tear-jerker and inspired a generation of young girls to chop off their long hair and learn how to climb a tree with a rope. 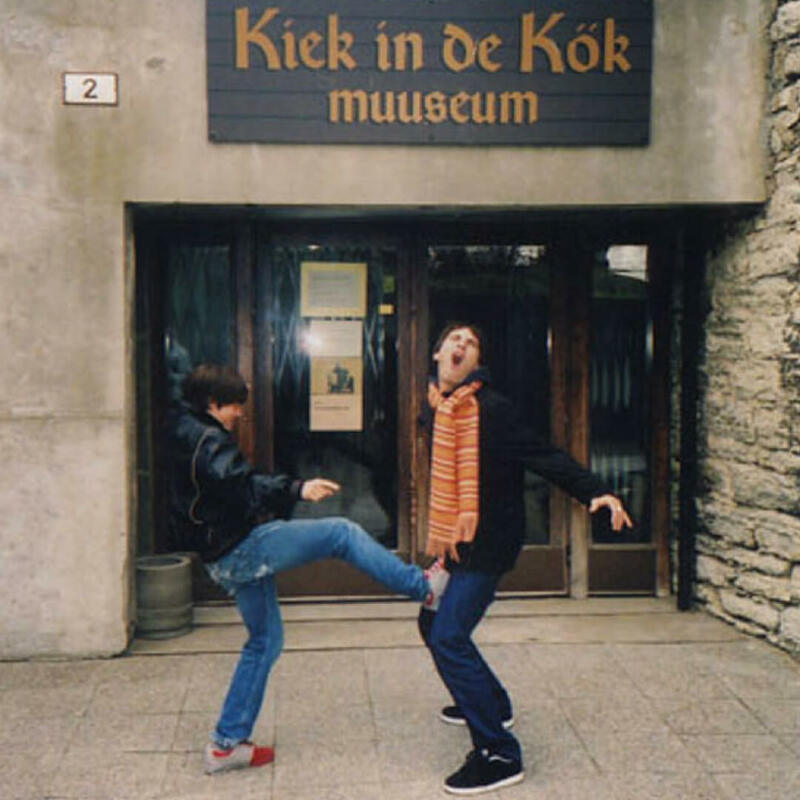 You know that neither of these guys has a clue what this museum is about or if their joke makes any sense. Kiek in de Kök actually means “peep into the kitchen” and was an old nickname for towers in Germany. It would have been a much funnier joke if they were peering in through the windows. 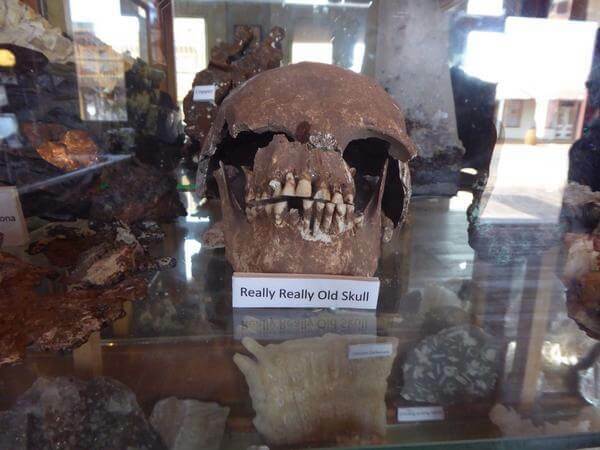 Everyone has this belief that museum employees are mega-nerds who work extra hard to show off their old artifacts, but it seems like they’re just as lazy as the rest of us. This employee knows that no one is going to bother reading all the zeros in a huge number, so a sign like this is way easier to understand. Keep reading to see which celebrity found their doppelgänger. Is This Museum Joking Or Did The Tax Payers Fund This? 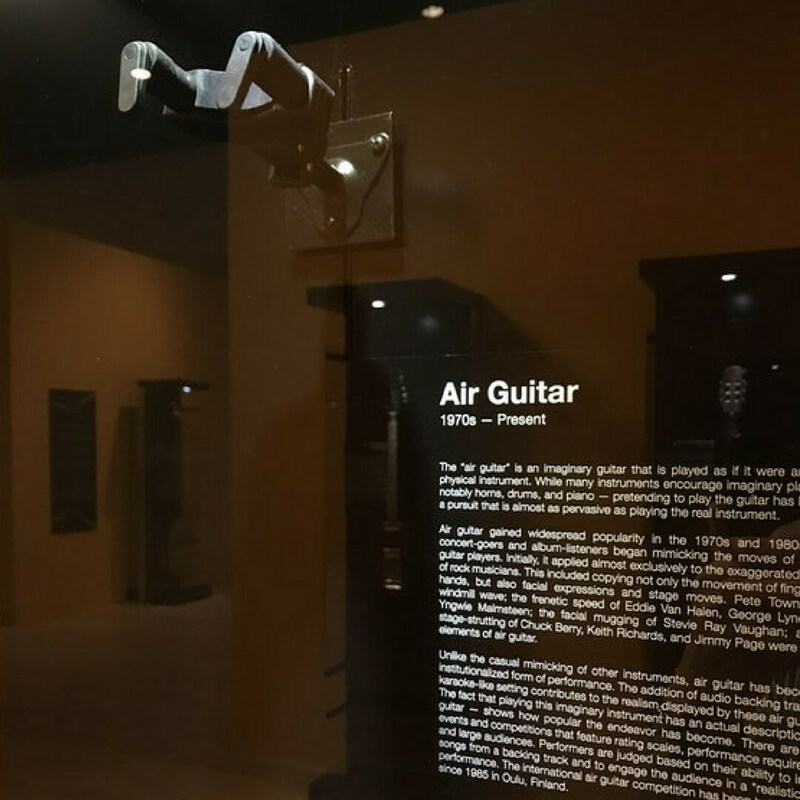 I can’t tell if this air guitar exhibit is a joke or real life. Did a museum really allow for taxpayers to pay for an employee to write up three paragraphs about air guitars? Then they wasted precious museum space with a non-existent exhibit. At least they were kind enough to write a very detailed, very entertaining history of people air guitaring. 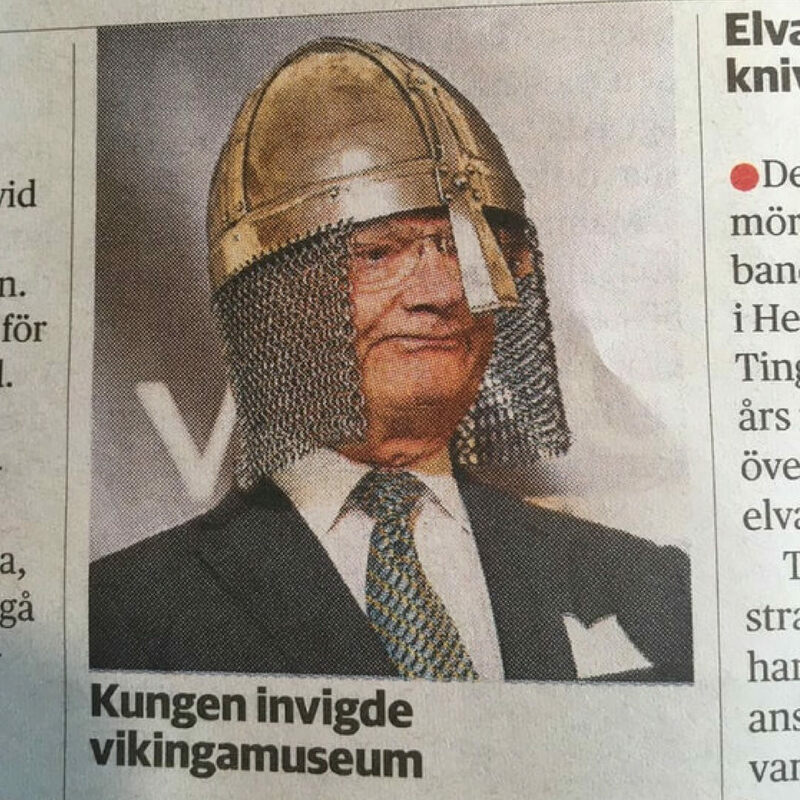 This is a genuine photo of the King of Sweden at the opening of their new Viking museum. Not only did he wear this helmet for the entire opening ceremony, but he matched his tie to the chain mail. I can’t think of any better way for a King to inspire his subject to learn about their history. 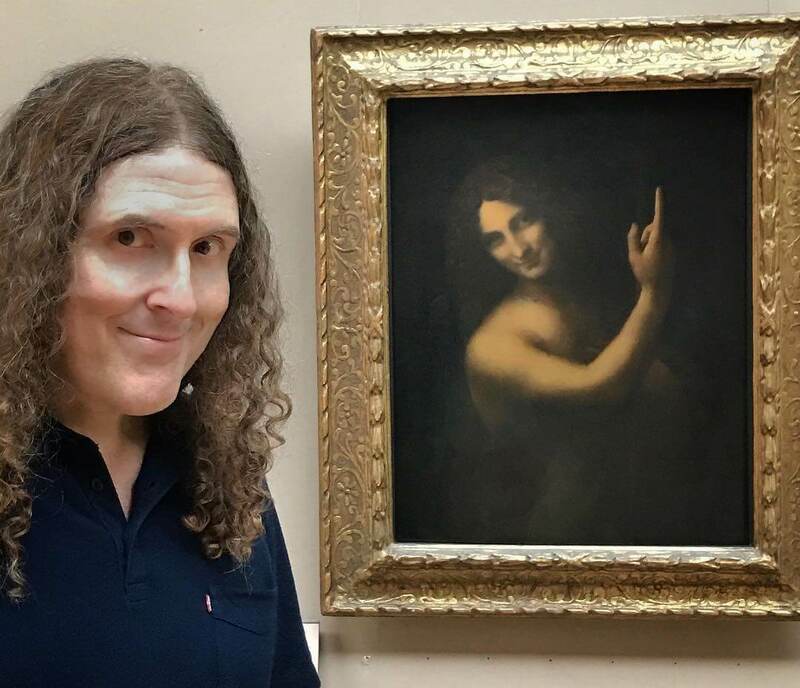 Most people go to the Louvre to see the Mona Lisa, but Weird Al Yankovich goes to see his former self. I’m not sure what trickery he pulled to be able to reincarnate himself and stay immortal, but I want to know how. Look at how big his hair is. It’s full of secrets. Speaking of the Mona Lisa, check out how two iconic celebrities stole the painting’s limelight. I’m just going to say it: if you’re a museum that puts statues on your lawn of naked people laying spread eagle, then you’re asking for people to abuse it. 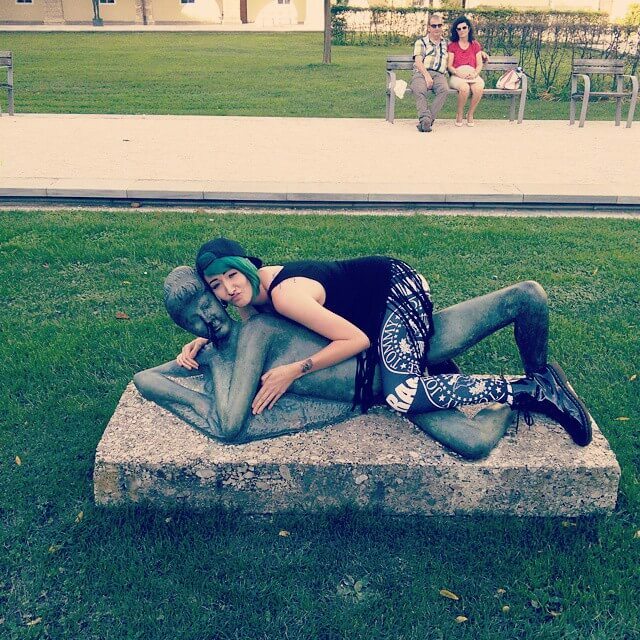 This girl cuddling with the statue is probably the most PG photo that has even been taken with it. This woman was just trying to take a relaxing stroll through the bodies exhibition and walked right into a risqué situation. 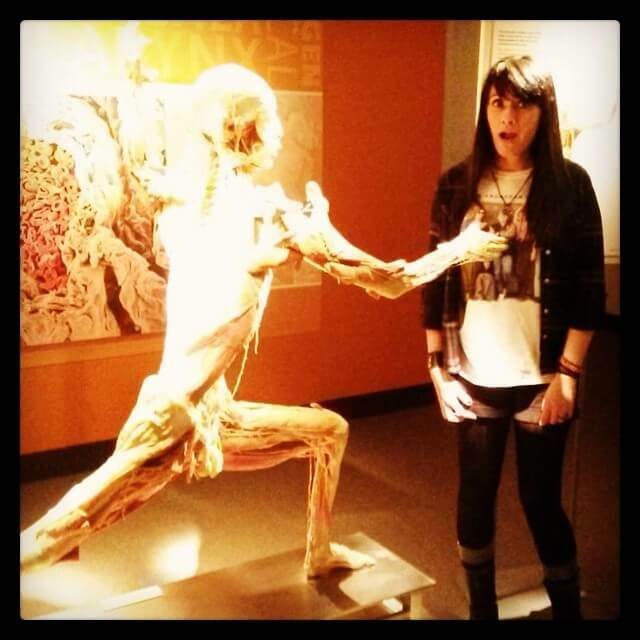 She was there to learn all about how the human body works from the inside out, so maybe this body was trying to do the same thing. The Mona Lisa is the world’s most famous painting, but she’s no match for the world’s most famous couple. 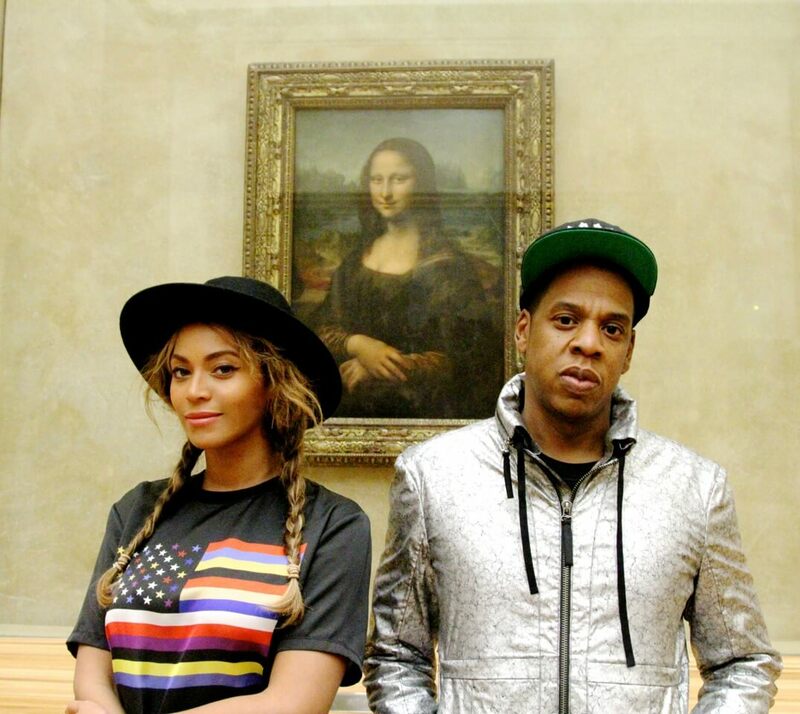 Beyoncé and Jay Z decided to surprise the Mona Lisa on their trip to France, and the famous painting does not look happy about it. Just look at that unimpressed half smirk. Keep reading to see how Beyoncé managed to make her mark in an entirely different museum. Well, if you’re going to make an accurate beetle museum, you need to make sure you include every kind. 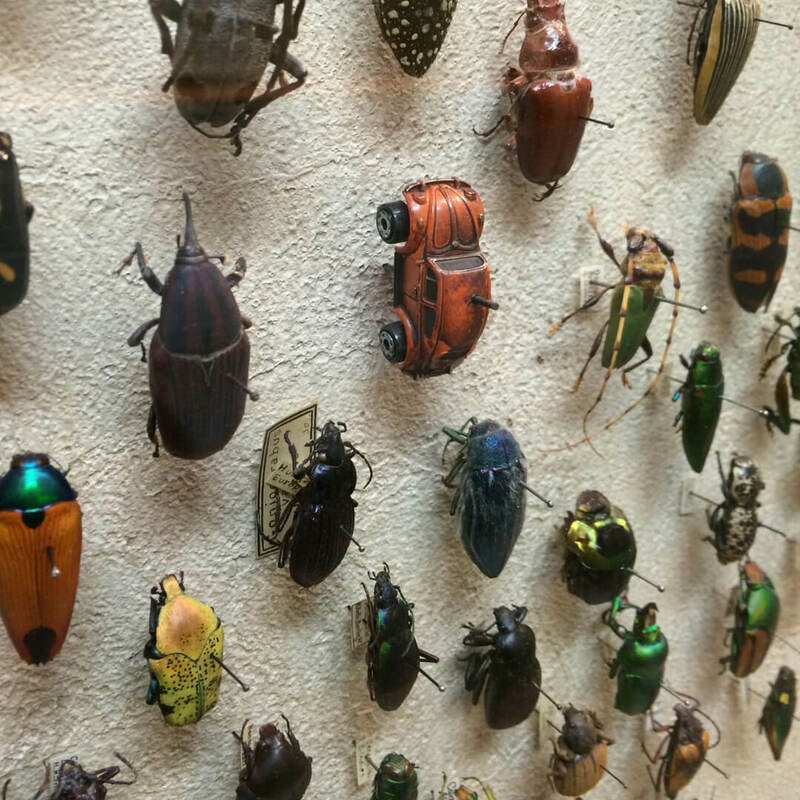 The rare VW Beetle is rarely seen on its own in the wild, but they caught one for this exhibit. It’s usually only spotted in the driveways of college students from Portland, or Lindsay Lohan circa her Herbie Fully-Loaded days. 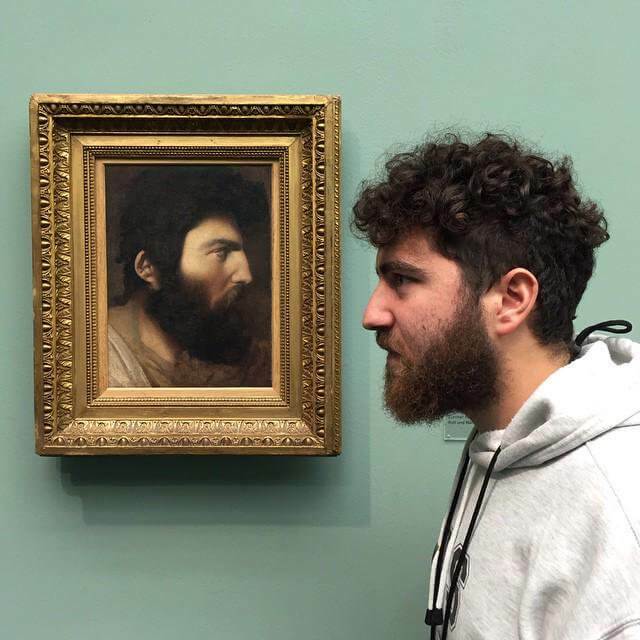 Not only did this guy find his doppelgänger in a museum, but he foolishly got in a staring contest with him. This is like a cat and an infant baby getting into a staring contest. It’s going to last forever, and whoever loses is either going to cry or scratch the other’s eyes out. 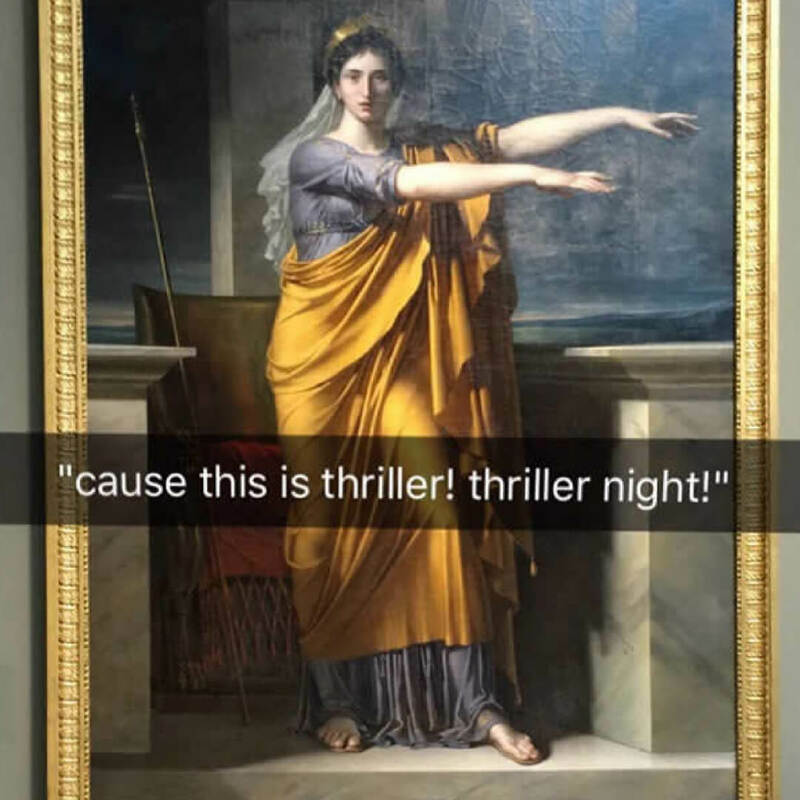 I’m not sure what secret knowledge the ancient Greeks had about up-and-coming musical legends, but they knew that the Thriller dance would be in style one day. 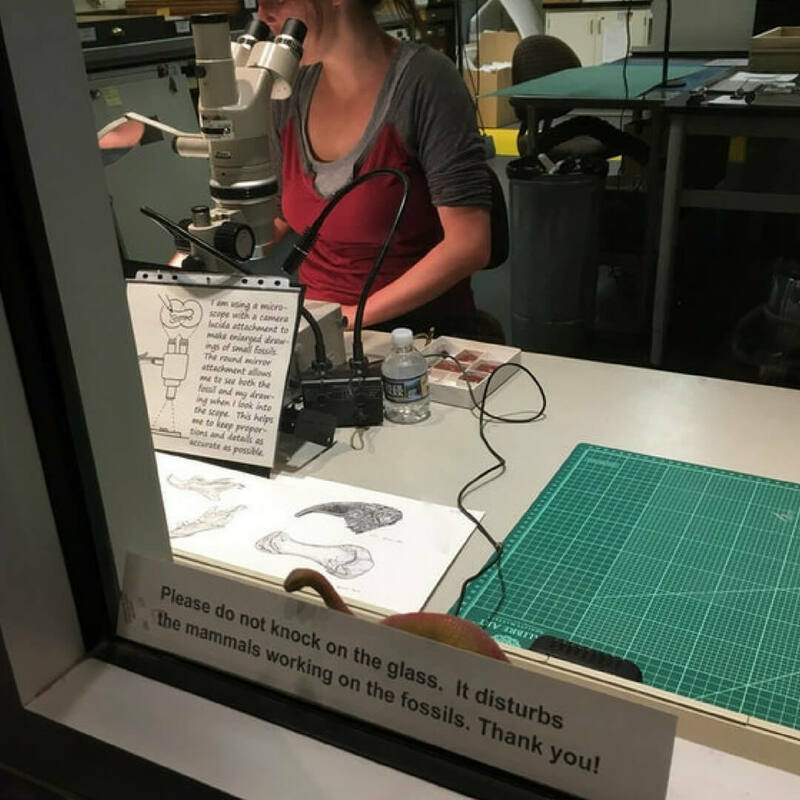 There’s a stereotype that museum workers are introverted and awkward, and this sign seems to be holding that stereotype up. At least they seem self-aware of the fact that an unknown human knocking on their window will startle them and probably set them back a full day of microscoping and splicing. Beyoncé doesn’t just make her own appearances in museums, but people around the world are channeling their inner Bey-hive. These two women know that this sculpture may have just been trying to look dramatic and sad, but it was destined to be a Single Lady. First of all, what kind of museum has a KFC exhibit? 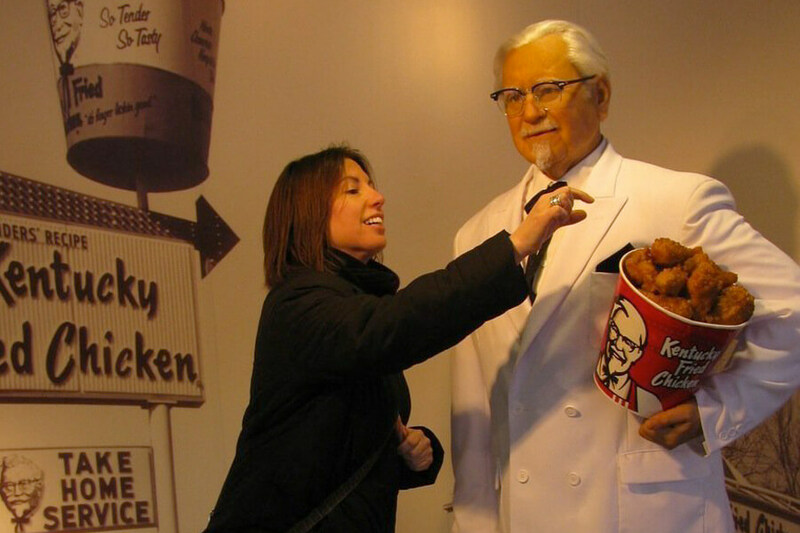 Do you get free “Kentucky Fried” coupons for visiting? Secondly, I wouldn’t touch that chicken if I was her, who knows how old it is! Her best bet is to go to the gift shop after she’s done. They must have a hot chicken bar there. Or she could just GPS where the closest KFC is. This guy knows what he wants, and that’s to ruin your picture. Dude, just let us capture the memory forever, no one cares that you can kickflip ad invisible skateboard! 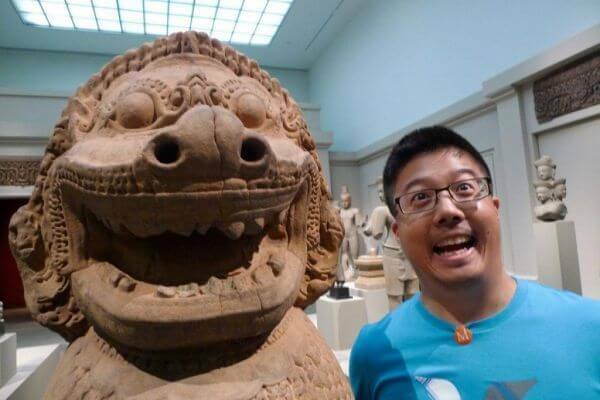 At the very least, this bro just got himself a great new profile picture. Look how much air he’s getting. He’s totally rad! This woman is bringing a great new look to an old shell. We’re not sure why the museum is letting her play with it, but she sure is having a blast. 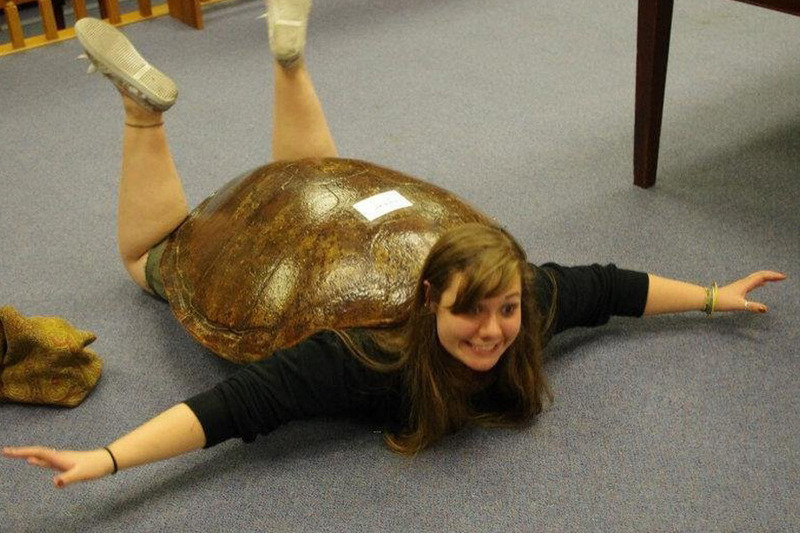 Really, though, she’s not doing a great turtle impression. She looks more like she’s pretending to fly or slide down a hill. Does she even know what a turtle is? 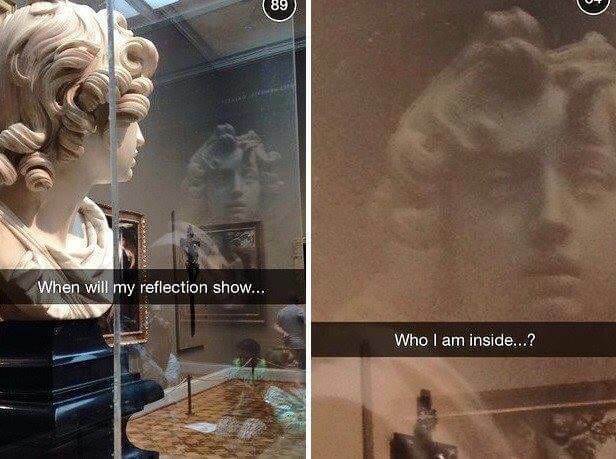 We’d be offended too if we were this stone bust at the museum. Having no control over what people show you isn’t easy, and this guy is just being rude. There wasn’t supposed to be a full moon for another week! I wonder what else this bust has been forced to witness. Over the years, it’s expression has just gotten more and more appalled. So That’s Where The Baby Went! 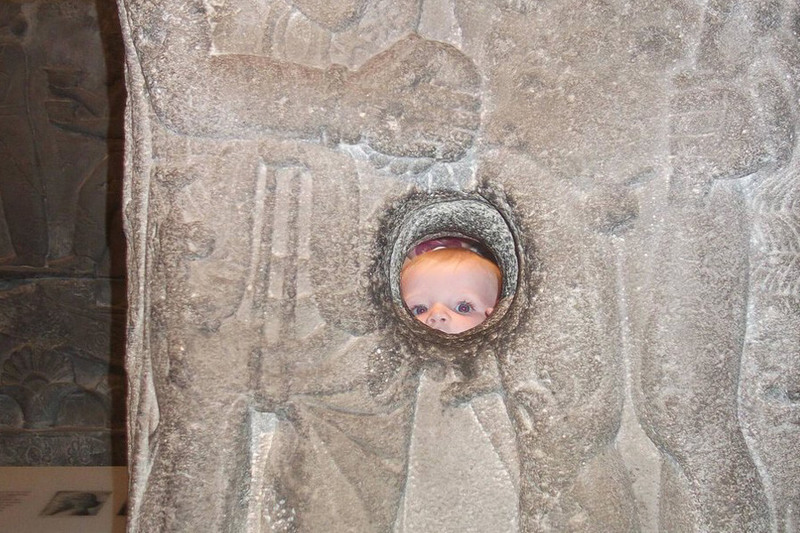 Have you ever been strolling through a museum only to realize your lost your baby? No? Then this picture isn’t relatable at all. Here we have a lost baby literally becoming a work of art. Okay, so that baby isn’t actually lost. Some dad probably just saw an opportunity for an adorable picture and made his wife hold the baby up to the hole. Dad’s are the worst! This woman must have been bored. 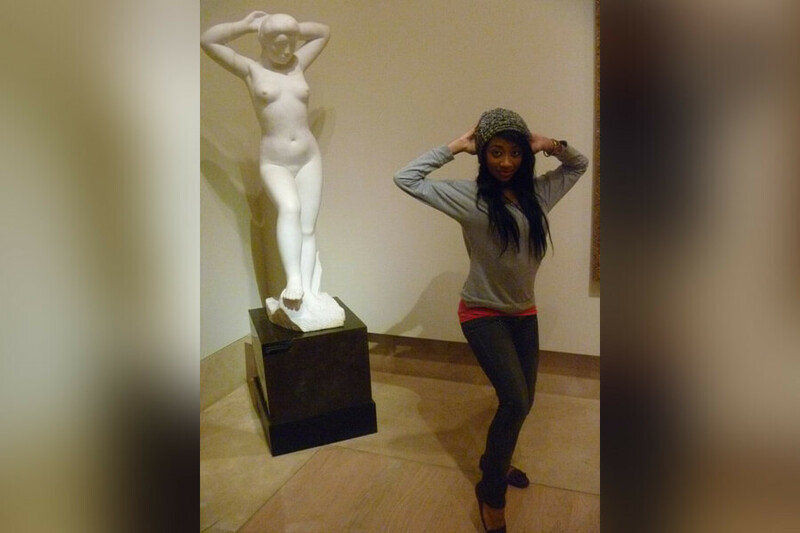 Only bored people start posing with the artwork to pass the time. The real question is: whose pose is better? The living person seems to be putting more feeling into it. The statue just looks bored. I’m guessing the woman who had to stand there while someone sculpted her wasn’t exactly happy about it. 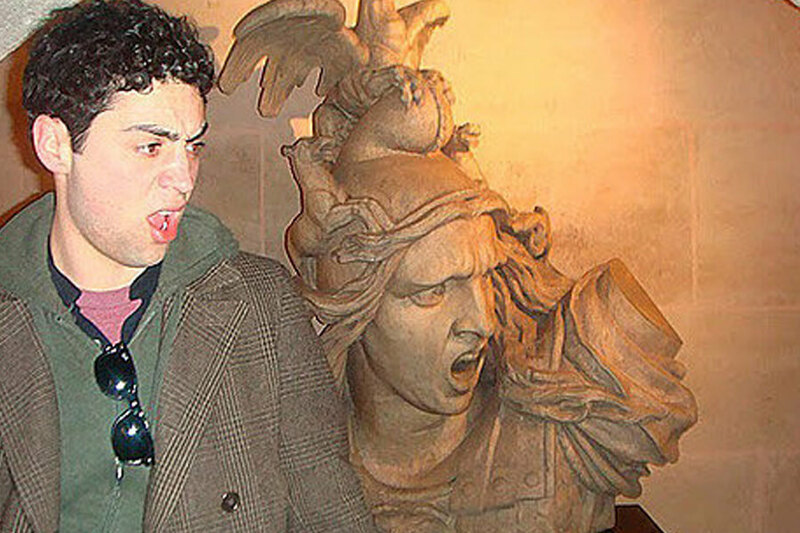 The statue isn’t very happy at the life historians have chosen for it. This man appears to be protesting in solidarity with the statue. I’m making the same face in protest right now as I write this. 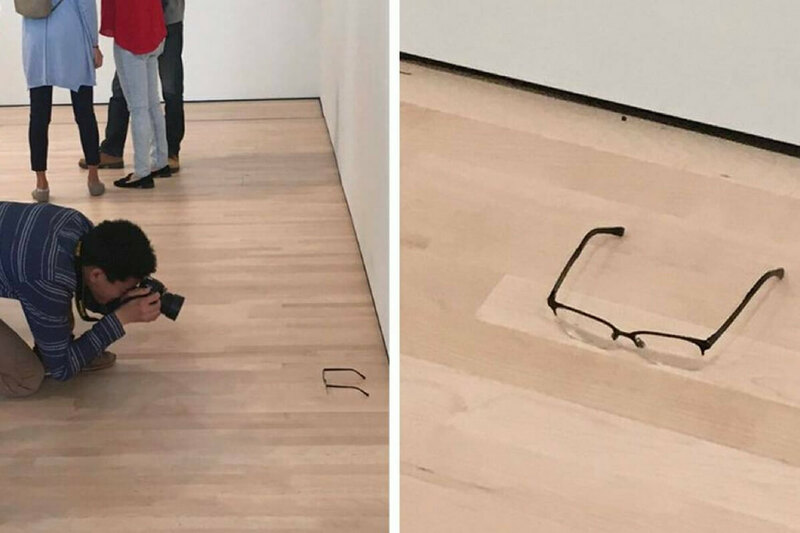 What museum is this? Or is that someone’s backyard? It kind of looks like they’re posing together in front of a garage door. 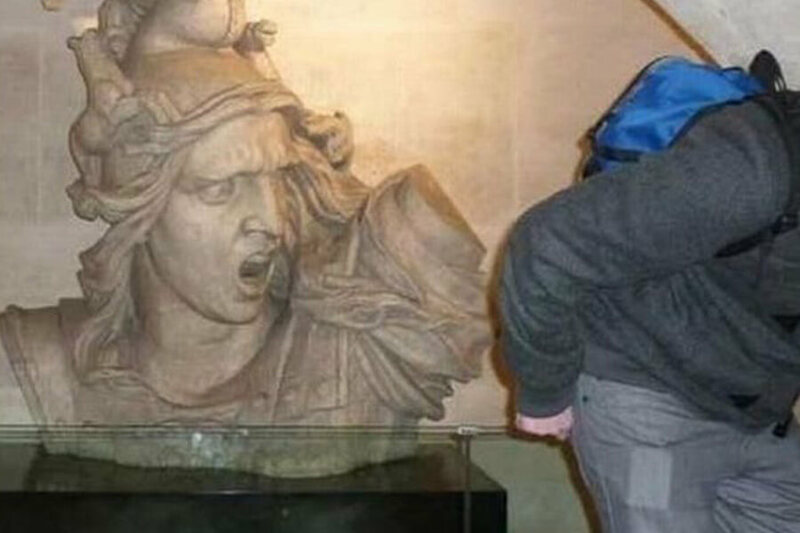 Just when you thought this statue had seen everything, it saw something so offensive we can’t even show you. All we can show you is how offended a real person who saw the same thing looks. Does anyone else think that guy kind of looks like that one guy from that one movie that we all saw once? 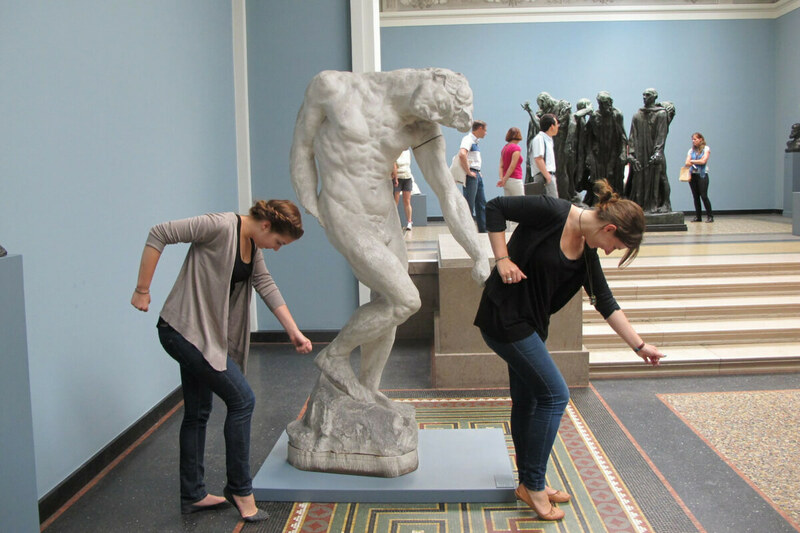 Let’s be honest, there is absolutely no reason for this group of women to be jumping up and down at a museum. Are they really having that much fun? I highly doubt it. 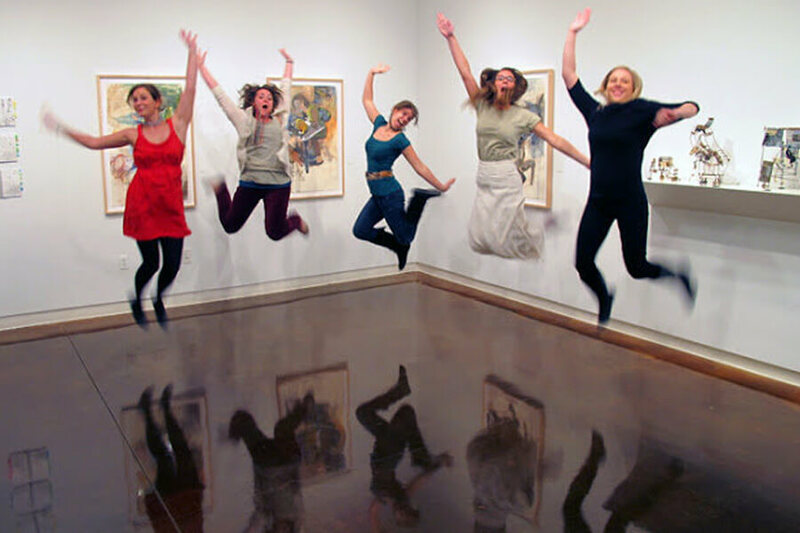 Also, according to our research, jumping in museums is a hot new trend sweeping the nation. There are even websites dedicated to it. So we hear. What great piece of art are you going to jump in front of? This is my new favorite picture. I have no idea who that this was a good pose for a bust, but someone did. And this dude is definitely nailing the impersonation. We’re done, you can all go home now. I’m just going to put this out there now — If you’re a museum and you choose to display this portrait, what do you expect? 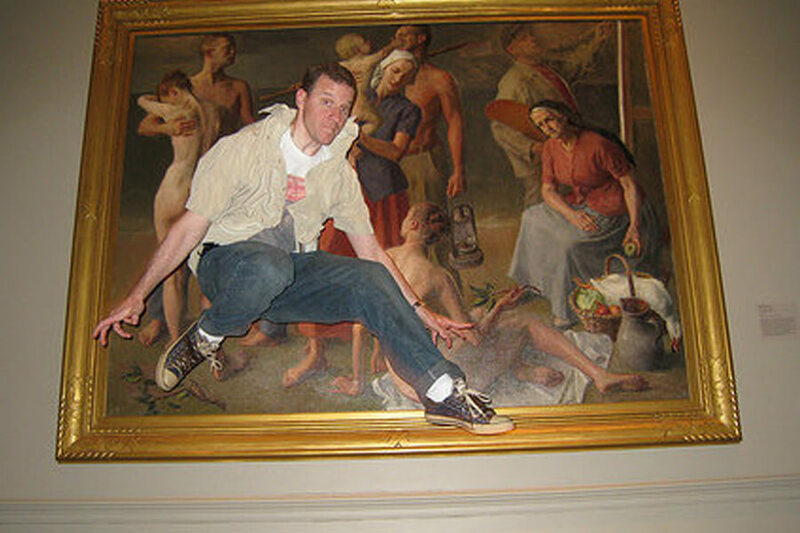 Sure, the painting is pretty remarkable, but the expression on the man in the artwork’s face just makes us want to take ridiculous photos with it. Sure, it may be immature, but come on! There’s no way you wouldn’t do the same. Right? Right. How many times have you seen a girl post of a selfie on Instagram trying to look all intellectual and moody at an art museum? Chances are it’s a lot. That’s why this dude has restored our faith in humanity. 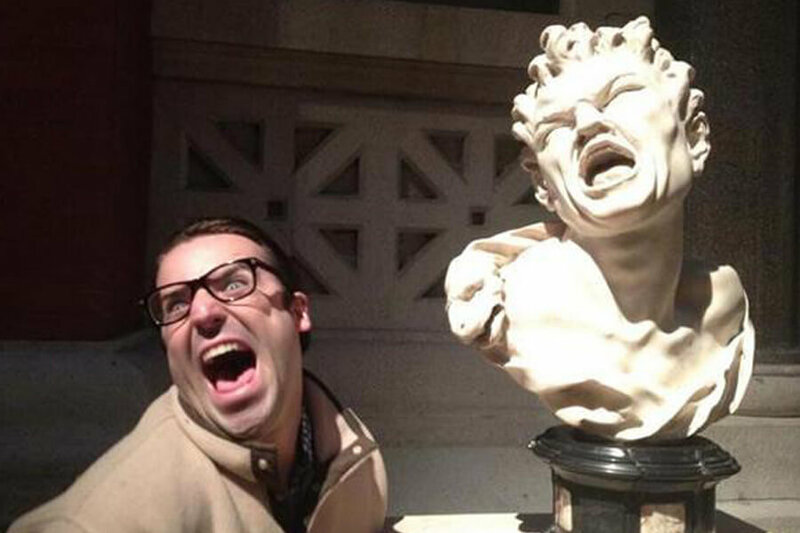 We need more selfies next to centuries-old sculpture with hilarious faces. You know it’s true. 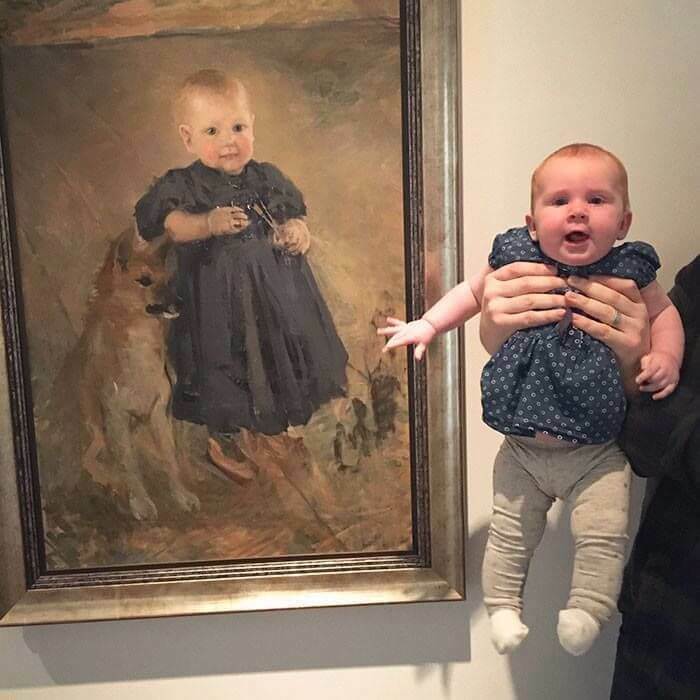 The baby in the next photo found her twin at an art museum. To me, lots of babies look the same. But this baby and the baby in the painting really look the same. I mean, between the light hair, the face shape, their expression, and even their outfits? They are twins. This baby is actually a reincarnated spirit version of the baby in the portrait. Ok, so that’s not (probably) not true, but it’s what I am choosing to believe. The next guy is just making the best of things. On one hand, it would be really neat to see portrait in a museum that looks just like you. On the other hand, if the portrait is of a man who looks like he’s about to be decapitated, I’m not sure how I would feel. This guy is just making the best of a pretty unchill painting. He even kneeled down to create the pose alongside side of it. Moms and dads are supposed to be the mature ones. 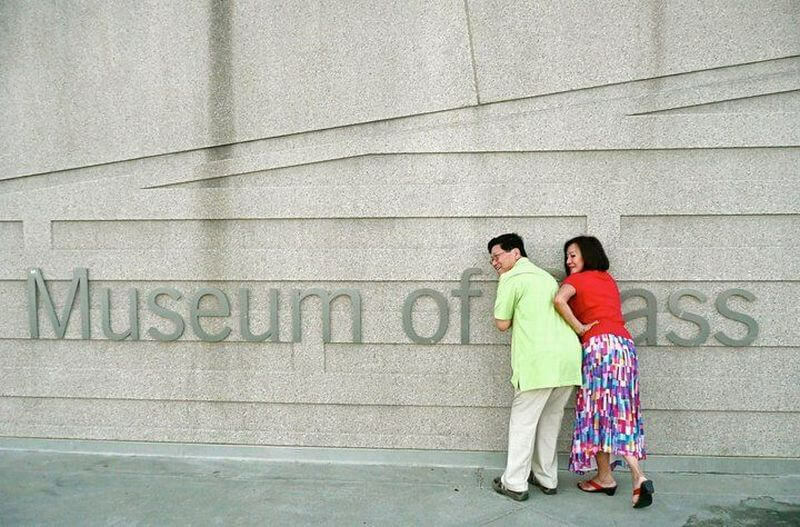 But these parents quickly decided they’d rather make the family trip to the museum awkward for everyone. Thanks, Mom and Dad. In all honesty, this is actually pretty heartwarming and #relationship goals. This next painting is how we all really feel. Lots of the time it’s hard to relate to centuries-old paintings. But caption it with a relatable statement on Snapchat and viola. Honestly though, is this a statement more relatable than, “Pls tell me the wifi password”? We think not. Sure, wifi definitely didn’t exist during the time when this piece of art was painted, but the expression on this man’s face is timeless. This is probably the best selfie I have ever seen and I am endlessly impressed by the person who thought of this creative photo op. Instead of taking selfies in front of portraits in a museum, we should start taking these. I wonder if this lady would have been team Android or team iPhone in real life. When someone wrongs me, I get this exact look on my face. Especially when the person who wronged me tries to play it off. By my face, like this guy’s, says it all. I don’t know what the man in this painting was fretting about some hundreds of years ago, but this is proof that humans have been acting up forever. We all have that one Facebook friend from high school who only messages us once a year to send us a link to his Soundcloud even though we always leave him on read. 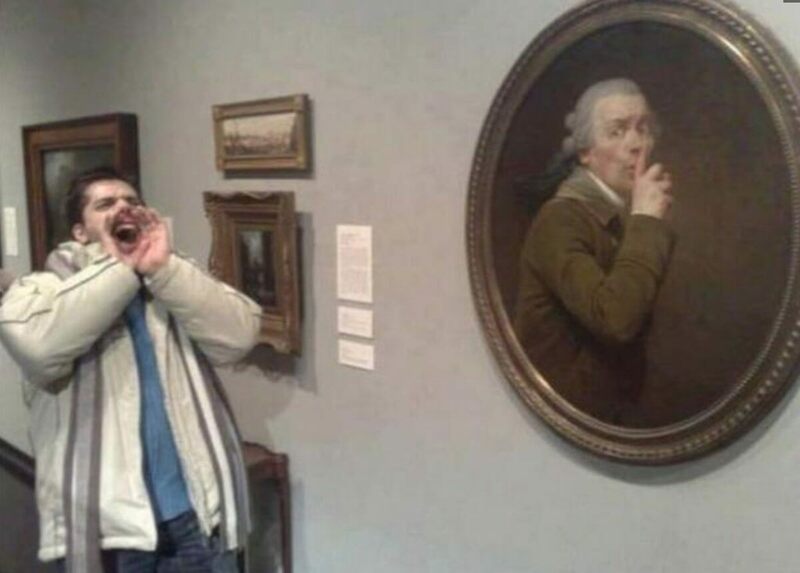 If that same sad Facebook friend was a historical painting in a museum, he would definitely be this guy. I can almost hear him demanding me to buy his mix CD or check out his Soundcloud. If saying no means perishing then perish I must. Looking at sculptures is one of my favorite things to do at a museum, but I have to admit that seeing all the ladies and gentlemen with their beautiful curves and chiseled abs in depressing. Then this baby with a six-pack comes along and makes me question all of my life choices, like…why I haven’t worked out in three years…and why I ate Cheetos for dinner last night. Honestly, I don’t deserve this.